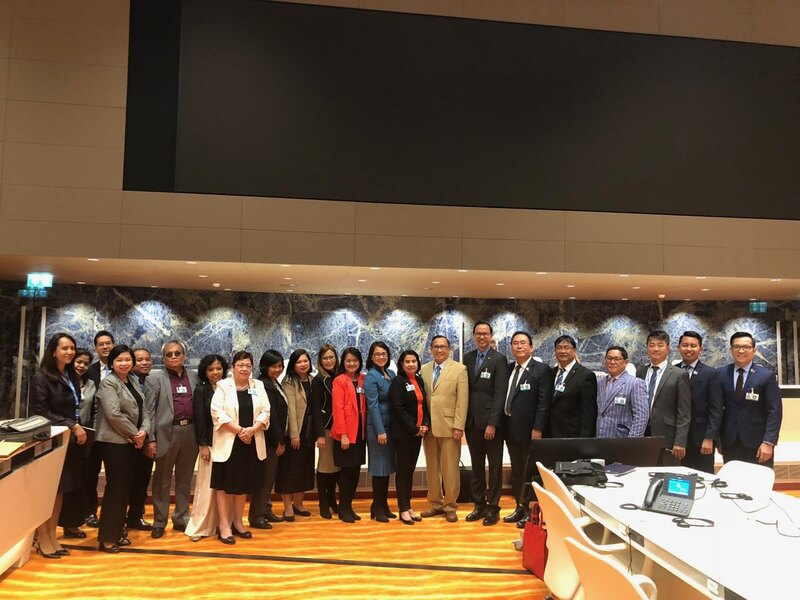 The Philippine delegation organized by the Presidential Human Rights Committee (PHRC) headed by the Department of Social Welfare and Development Secretary Virginia N. Orogo and co-headed by Deputy Executive Secretary Michael P. Ong of the Office of the President participated in the First Constructive Dialogue with the United Nations (UN) Committee on the Rights of Persons with Disabilities (CRPD) in Geneva, Switzerland on 12-13 September 2018. The Delegation is composed of Presidential Human Rights Committee, Department of Social Welfare and Development, National Council on Disability Affairs, Department of Foreign Affairs, Department of Education, Department of Labor and Employment, Department of the Interior and Local Government, Department of Justice, Department of Health, Department of Public Works and Highways, Department of Transportation, Philippine Commission on Women, and the Permanent Mission of the Philippines to the United Nations in Geneva. The delegation assisted Acting Secretary Orogo in responding to the issues raised by the CRPD Committee members. 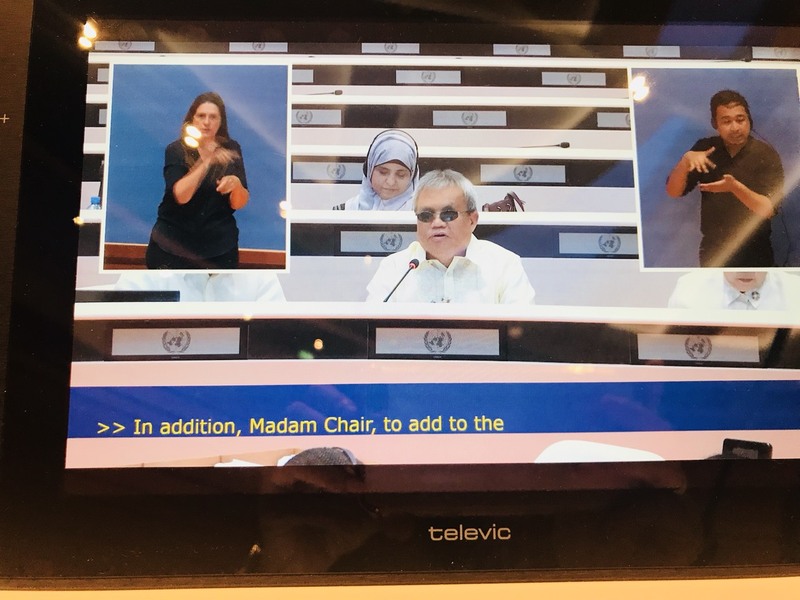 DSWD Secretary Orogo delivered an opening statement highlighting the accomplishments of the Philippines in championing the rights of persons with disabilities. She assured the CRPD Committee that the State through the National Council on Disability Affairs (NCDA) will further its current efforts to generate public interest and support for the Convention through strong advocacy on Persons with Disabilities rights protection, promotion and fulfillment through appropriate executive, legislative policy reforms consistent with the Convention on the Rights of Persons with Disabilities. See full opening statement. The National Council on Disability Affairs represented by Deputy Executive Director Mateo A. Lee Jr. and assisted by Mr. Dandy C. Victa, Officer-In-Charge of the Technical Cooperation Division responded to some of the issues raised by the CRPD Committee relevant to the organization and function of the agency. 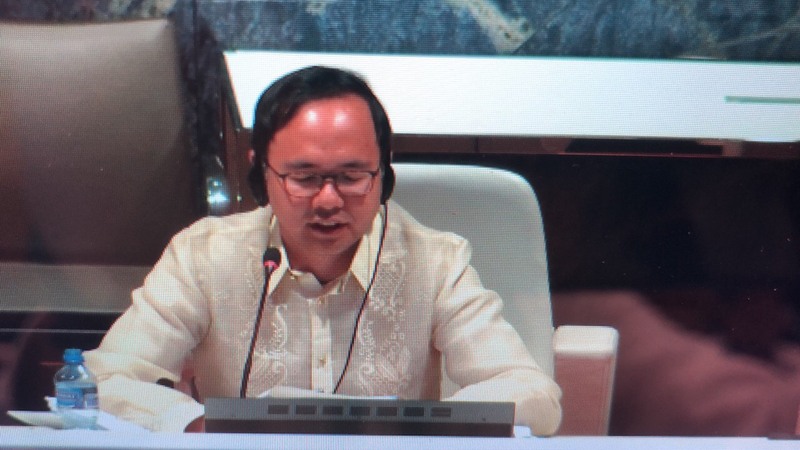 Deputy Executive Secretary Ong in his closing statement assured the CRPD Committee that the President will continue to address the needs of persons with disabilities through the Philippine Development Plan 2017-2022 consistent with the Convention as he continues to pursue the Administration’s goal to achieve a strongly rooted, comfortable and secure life for all Filipinos. 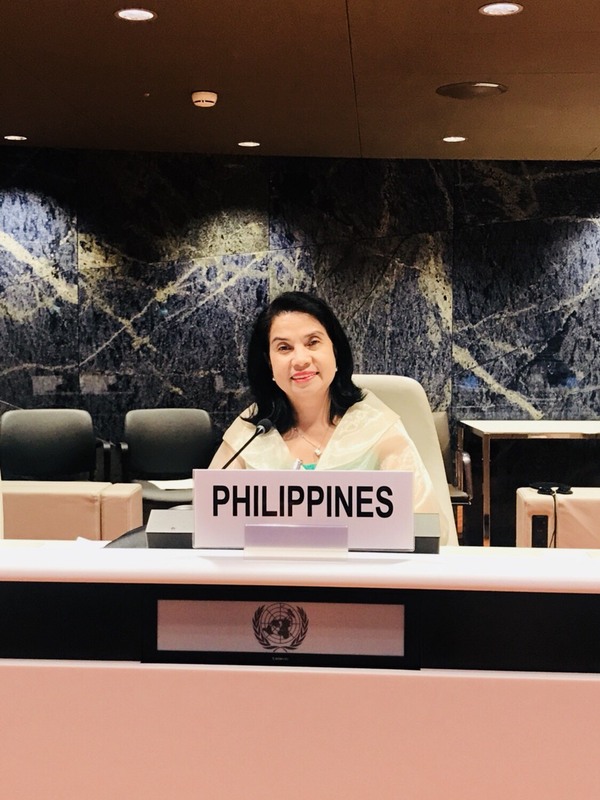 Meanwhile, the Philippine delegates appreciates the excellent guidance and administrative support extended by the Philippine Mission to the United Nations in Geneva, Switzerland headed by Permanent Representative and Ambassador Evan P. Garcia and the Department of Foreign Affairs (DFA) – United Nations and Other Internal Organization (UNIO) which is significant to the success of the Constructive Dialogue.